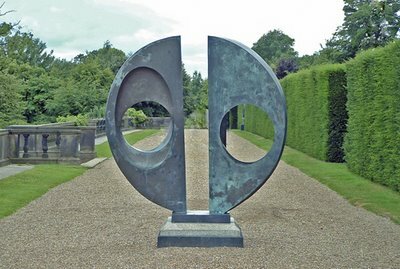 A photograph of one of the sculptures at the Yorkshire Sculpture Park I took a couple of years ago. I think it’s a Henry Moore but I could be wrong. I’ve posted an explanation of how I made last weeks WW – Creating Tree on a Hill. It's so pretty. Fantastic share that makes you stop and think for a second. It defineitly looks like a place I would love to visit. Great photo! Good photo, interesting sculpture, beautiful looking park. Way to go! Everyone is invited to my blog, hope to see you there. What an awsome sculpture. Lovley shot of it too. I enjoyed it very much. It is beautiful, would love it for my garden...LOL.Thanks for sharing and Happy WW. Oh, I love that one. Very beautiful. Very inetersting picture! Beautiful in a different sort of way. Very interesting piece...I agree with the others it's as if it is staring back! Good photo of a funky art piece. tegdirb92 and Starrlight: If my memory is right it's bronze. Kim: it didn't rain all day. In fact it was really warm. I had to play with the colour balance because the sky was so bright it was solid white. That is awesome! Marble or granite? Yorkshire Sculpture Park and it *wasn't* raining?? Beautiful sculpture and beautiful shot. I like this. I feel like I need to reach in an touch it. Pretty interesting - kindof like its looking at us too. I don't normally like this kind of thing, but for some reason it really works. It's beautiful--what is it made out of?